This modern hotel is an adaptation of a spanish colonial fort, located at the top of a steep elevation, with broad and splendid views of the mountains, the city and the bays surrounding it. The famous El Yunque of Baracoa can be clearly seen from the hotel. Parts of the castle walls, including a turret, remain. It is reached by a winding driveway or 85-step staircase. 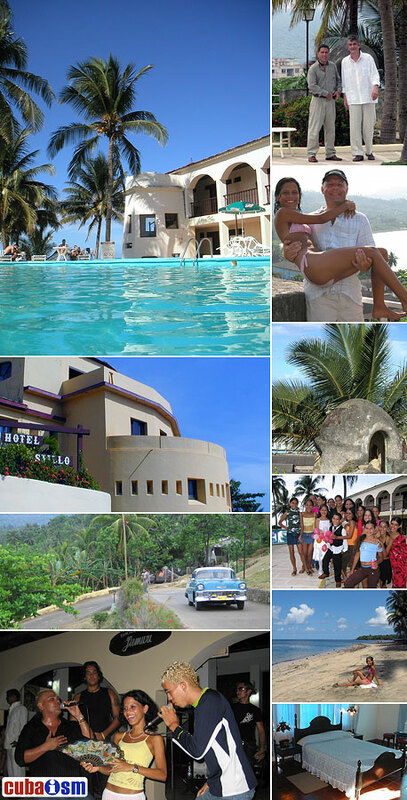 El Castillo has 34 rooms and offers very good service and the best food in Baracoa. Facilities include a nice bar from where you can enjoy the best view of the bay, Miel River and Anvil of Baracoa, symbol of the city, restaurant, a little shop and a picture-perfect swimming pool. Here you can book tours to visit the historic heart of the city, which has been declared a national monument; the fortresses of Matachin and La Punta; the fortified towers of Joa; fast-flowing Toa River; cemetery and many more. Hotel El Castillo is the top hotel in Baracoa to stay; excellent place to relax and enjoy nature tourism. Standard rooms are simple and pretty good size, have colonial-style furnishings, and are set around the pool. Most rooms have either two or three twin beds. All rooms have air-conditioner, private bathroom, fridge, satellite TV, telephone and safe.